When you are starting to think about taxes, and maybe beginning to daydream about how you might spend your tax refund, which of the following comes to mind first? 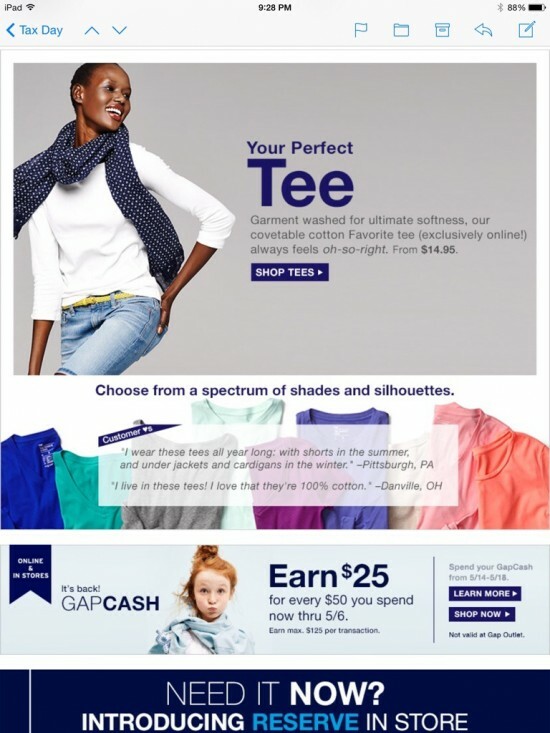 So, let’s take a look at the Gap and Baby Gap emails. They both used the same template and similar messaging (which is fine – brand consistency! Yay!). 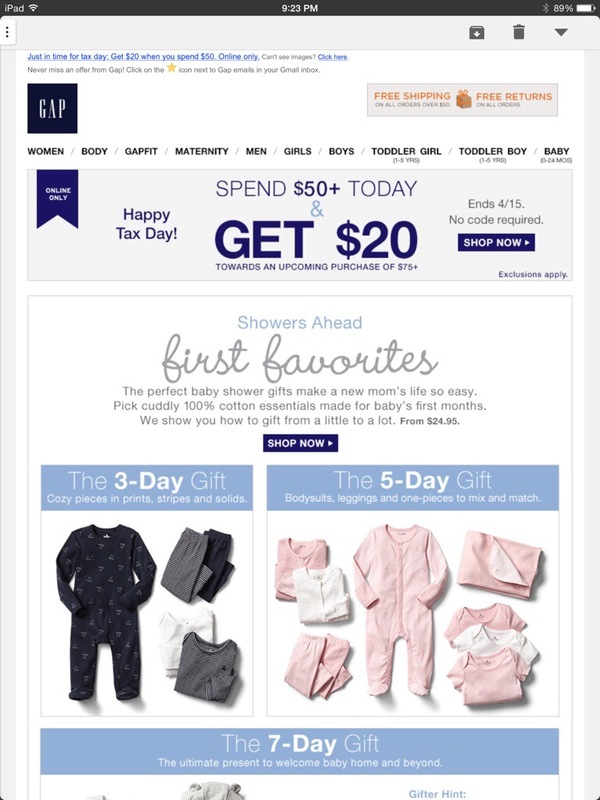 The Baby Gap email didn’t offer an immediate discount, but instead a $20 coupon to use later on a purchase of $75 or more if you make a purchase of $50 or more today. Wasn’t that confusing? Maybe they’re trying to recreate the feeling of doing your taxes, or they’re assuming that since you’ve just completed your taxes, you’re a pro at understanding weird wording. The featured products were different groupings of baby shower gifts for different days – the 3-day gift, the 5-day gift, and the 7-day gift. I didn’t really get it (but I also know very little about babies and the gifts people give to them.) Is that a thing? Should I be getting expecting mothers gifts that increase in size every other day? 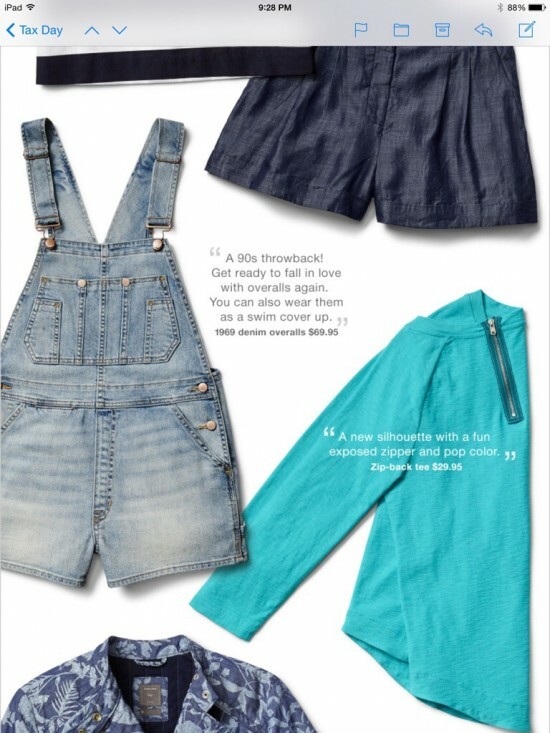 The regular Gap email had the same confusing offer, and a more eclectic collection of products. And it went on for 5 screenshots on my iPad mini*. 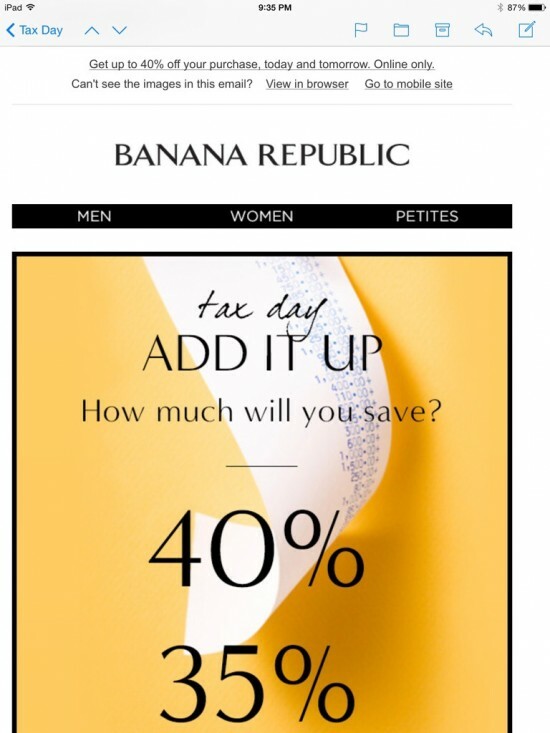 Next up is Banana Republic. 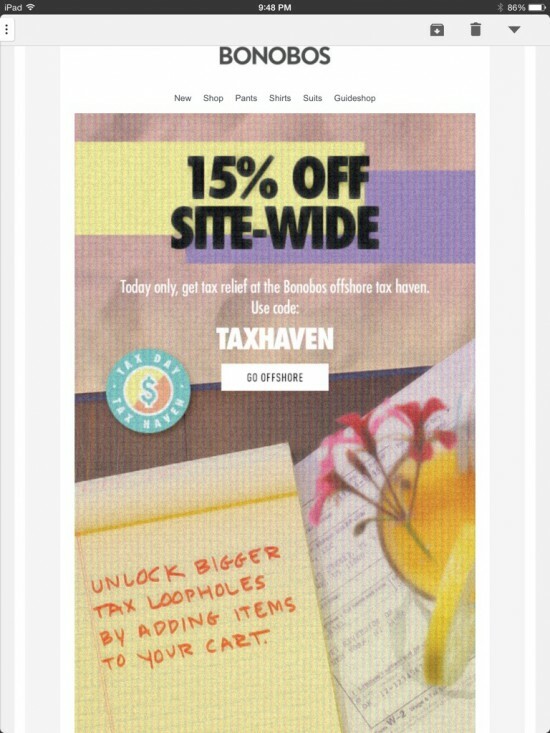 Their tax day offering was something I had been planning on writing about in a completely different post: The Mystery Sale. Much like doing your taxes, this leaves the amount of money you will end up with in your wallet a total mystery when all is said and done. 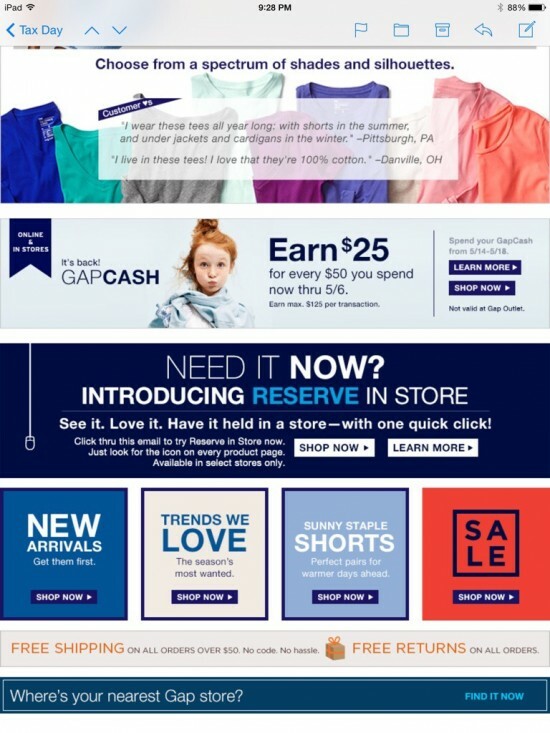 This email tells you that you have to click on the email to discover what your discount is. I’m sure that’s how most people like to shop, and it probably has zero effect on abandoned carts. (I just clicked it, at 10:45 PM, and got 40%. 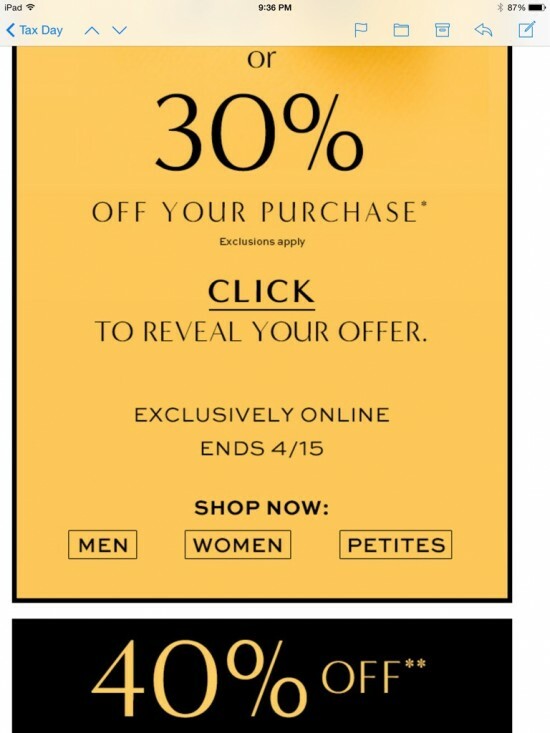 My guess is that the discount was 30% right when they sent the email, and that it slowly increased as it got closer to when the sale is over.) 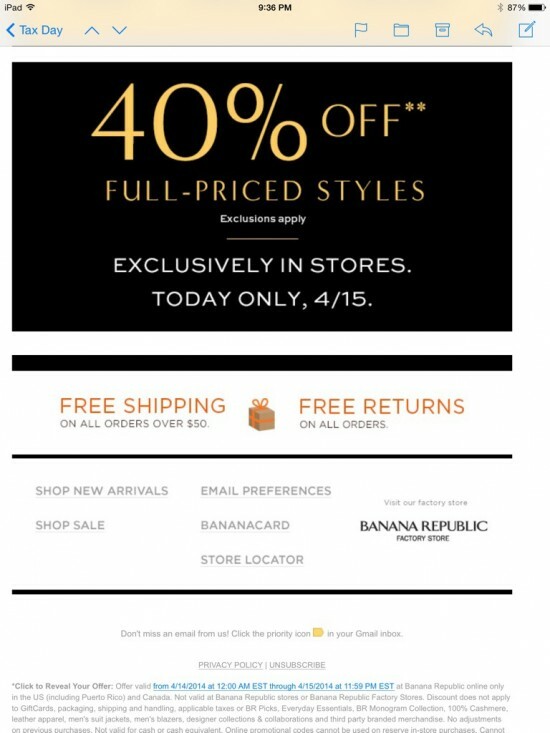 But then there was a section offering 40% off all in-store purchases right now. I guess they were trying to encourage people to shop in the store instead of online (on a Tuesday? Good luck.). 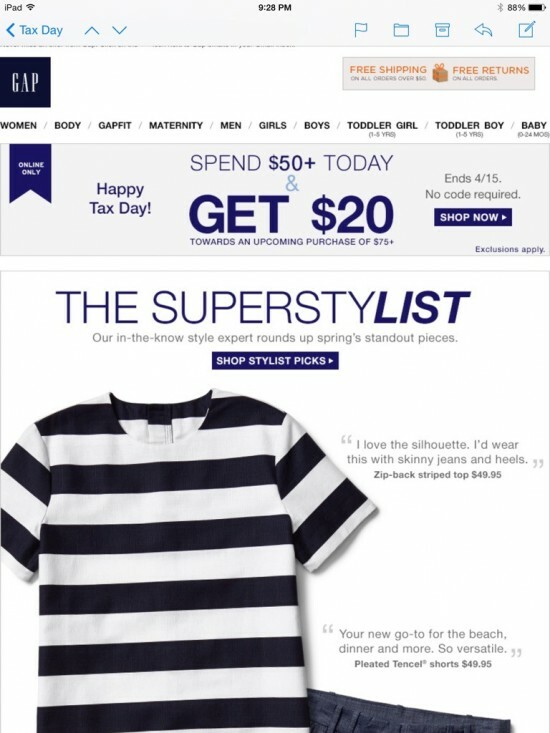 Bonobos took a humorous approach to their messaging with this weird email about the “Bonobos offshore tax haven” where you can “Unlock bigger tax loopholes by adding items to your cart.” Seems legit. But then they sent it twice in one day with different subject lines. Five hours apart. I guess that’s one way to test send times. Happy Tax Day, everyone. If you got a refund, go enjoy it! 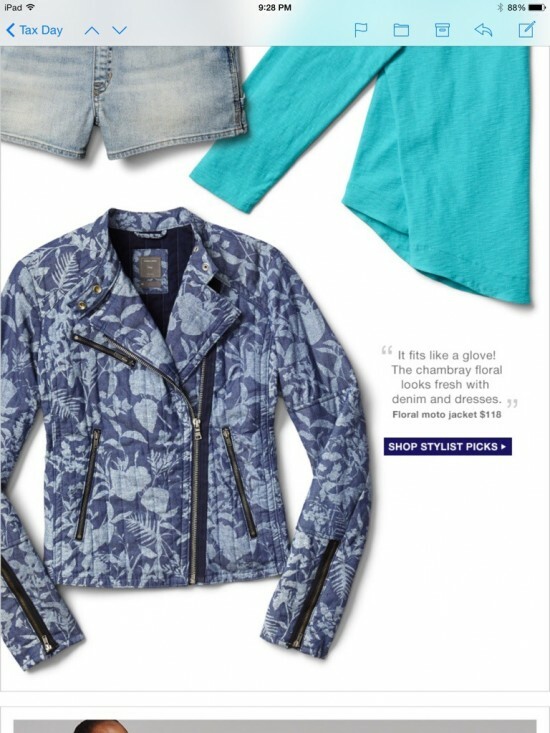 *Can someone recommend a better way to get screenshots of emails/or a free or cheap app to splice them together? 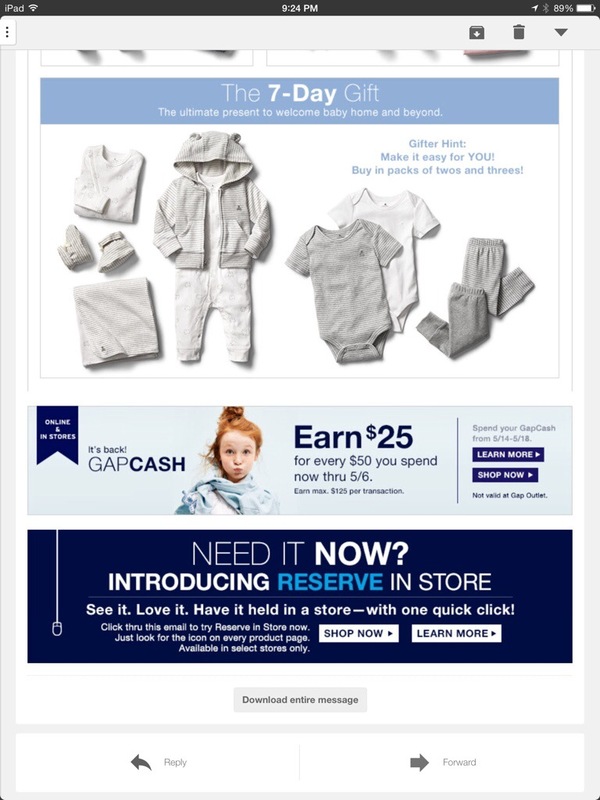 My computer is on its deathbed (and very slow), and I don’t have Photoshop or any software to splice these screenshots together into one image for each email. The screenshots on my iPad were easier to take, but I want to crop out the non-email parts of the screenshots and make them look prettier. HALP.